Living Wonderful lifetime on Yacht. 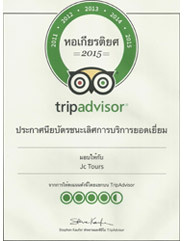 This is the concerning of Yachting in Phuket. 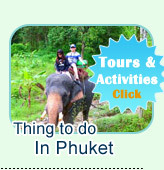 Jc.Tour offers who need to make the holiday time in Phuket from simple to be the best. In the time you want to make it to be wonderful for the special occasion or special person, this luxury private yachting tour of jctour is the one. 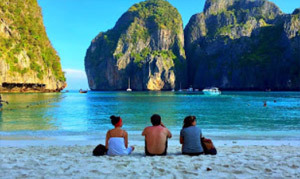 "Yachting-Discovery the Sea to the Islands around Phuket"
We offer a great route yacht cruising to: Raya Island, Maithon Island, Coral Island or PP Island. 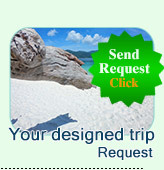 We recommend you see the highlight pictures of the boat before submit the booking. Jc.Tour- Sea hawk Yacht is the nice one, she is very beautiful - looks smart as on the water. As well as all the decoration equipment on her is luxury. Every area corner on the boat is nice for relaxing. She puts the high standard motor which can cruise or run fast upon the request of guests. Jc.Tour-Sea hawks Yacht is the smart one, she can cruise to every where, every corner of the island mountain. Stop some narrow area for great snorkeling or fishing. You may love to jumping from the back side of Yacht, you can do this easily. The sightseeing point can do both front or back. As well as on the top floor is great for bird's view. Yachting is a great for Personally love, before submit the booking, we recommend to read all the detail, and call/What App for more information at +66895727603. This number is 24 Hours service, Call Now. Brief Activities on the Yacht. Snorkeling by Yacht the crews and tour guide recommend you to do the snorkeling at the best point of every places during your route. Staying at the beautiful place as long as you like it - the time is belonging to you. And the high standard snorkeling gears are prepared. Fishing by Yacht: The crews prepare the fishing equipment. You can do this activities along the route. Or the crew take you to the places those can make sure that you can get the fishes. Sunbathing by Yacht: The place for sun-bathing on Yacht is superb - you can lay down along the way as the soft drinks served all the time you requested. Drinking on the sea byYacht, the crews arrange a great table both indoor or outdoor (Up to your favorite) The beers (24 cans) , the unlimited soft drinks is served. However, the great botten of wine or more other alcoholic drinks you can order or take it your self. For sure, your times is always wonderful amid the sea on the luxury Yacht. Snacks and Fruits by Yacht: The crews always set up full of basket the snacks and seasonal fruits all the time, to make sure that your times is wonderful. Visiting the Island from Yacht: The crews arrange the dinghy to visit the destination islands. The Destination Routs: She cruise to Daily. The private Island is belonging to the people (Not public), Our yacht can cruise around to do the snorkeling, swimming, fishing (Good place for fishing) from the yacht. As well as we cruise to Dolphins Bay where you can meet the dolphins. The coral reef under the water around of Maithon Island is very completely nature. However, if you love to reach the beach, you have to pay extra for reaching the Island. 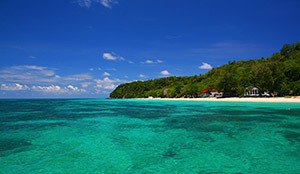 This is the best place (we recommended to go) for Yacht Cruising to: The best place for snorkeling by Yacht. 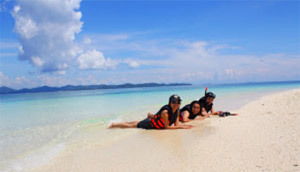 Every bays of Raya Island with the amazing filled white sandy beach. The water is clear like a mirrer. The coral reef is so completely and thick sea flowers under the water. A ton of beautiful species fishes as well as the Fishing Area of this route is much better than the other. This island is quite popular for the tourists, so you can meet the crowd for the normal tour trip. However, yachting can avoid the crowd. 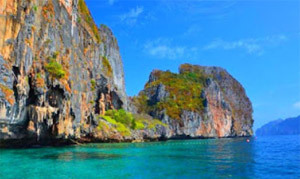 We cruise pass the PP Le - Maya Bay, Loh Samah Bay, Viking Cave and Stop for swimming at Pile Cove. This island is quite far, but you can see and get more the nature of Andaman Sea. 5. Coral Island + Raya Island. 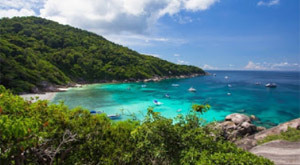 In the case of you like to see 2 island in the same day, Coral Island as the fist stop and continue by Racha Island is a great idea to do. By this route, you can see more without much lose the time. 6. Raya + Maithon Island.